Today is 12-12-12 and I just had to write a "12" post to celebrate this day! My topic will be twelve ancestors I would like to meet...in no particular order, of course. A snippet of a letter written by Philip Kuhn telling his wife about the attack on the City Belle. 1. Philip Kuhn - Ah, Philip. Admittedly, one of my favorite ancestors. I'm not sure why I'm drawn to Philip. Perhaps it is his Civil War service or time as a prisoner of war. Either way, I would like to talk to Philip about his time on the City Belle, a Civil War Union troop transport that was attacked on the Red River in 1864. Philip survived the attack and ended up a POW in Camp Ford, Texas. 2. 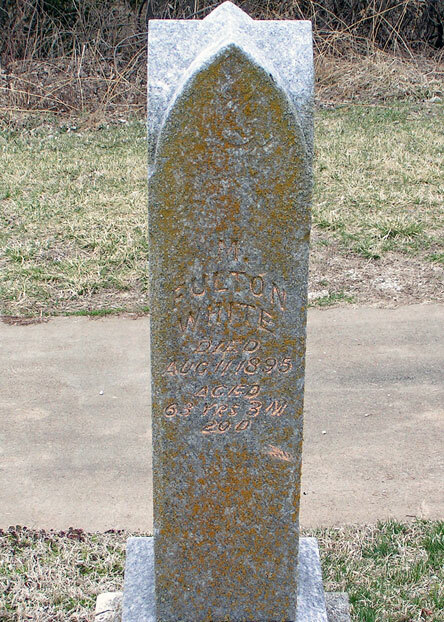 William Butler, Sr. - I have lots of questions for Mr. Butler, my 3rd great-grandfather. His early days were fascinating...he was a prominent business man in early Chicago, married well and became very wealthy. I would ask William who the mother of my my 2nd great-grandfather is. I'm sure he would think me impertinent, but the documents don't match the story he passed down. 3. Peter Kuhn - Peter is my immigrant ancestor and furthest ancestor to have been found in my Kuhn line. He was born in 1748 in Germany and came to America around 1760. If I could meet Peter I would ask him why he chose to leave Germany and I would sneak in a question about where he was from and who his parents were. 4. 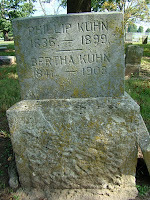 Bertha Kuhn - Bertha (Cutler) Kuhn was my 3rd great-grandmother and wife of Philip (No. 1). I have written previously about my desire to meet her. I feel a connection to Bertha because she was a military spouse at home while her husband went to war. If I could ask her one thing I would ask her if she ever had her photo taken and if so where it is now! 5. Joseph M. Creed - Joseph is my ancestor that floated all over the country before settling in Oklahoma. Joseph's question is too easy: I would ask Joseph who his parents and grandparents were. I have snippets of proof for his ancestry but nothing concrete. 6. Marcellus White - Another ancestor I have too many questions for. Marcellus is yet another 3rd great-grandfather. He was born in Virginia and at some point moved his family to Missouri. I think I would ask Marcellus why he chose to move more than 900 miles away from his home state. I would also ask Marcellus about his Civil War experiences, especially whether he was really at Appomattox Court House. 7. 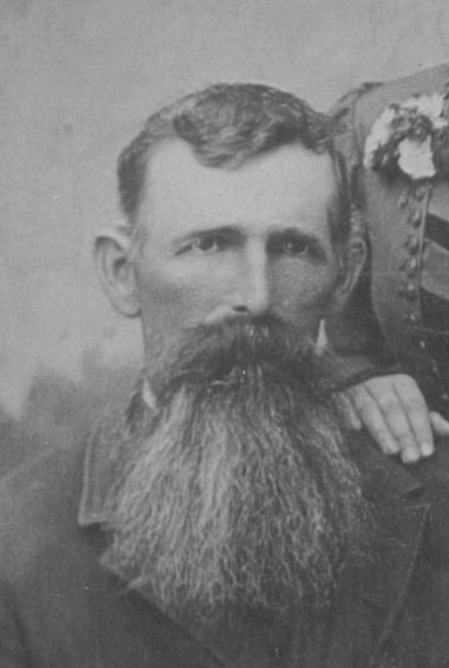 Samuel O. McGuire - Samuel was also a Civil War veteran, fighting for the Confederates. He was also captured and spent time at Fort Delaware prisoner of war camp. I think I would ask Samuel why he chose to fight for the Confederate side. He was born and raised in Kentucky, which I'm sure had a strong bearing on his choice. But I would like to know if he was fighting for States rights or for maintaining slavery or both. 8. 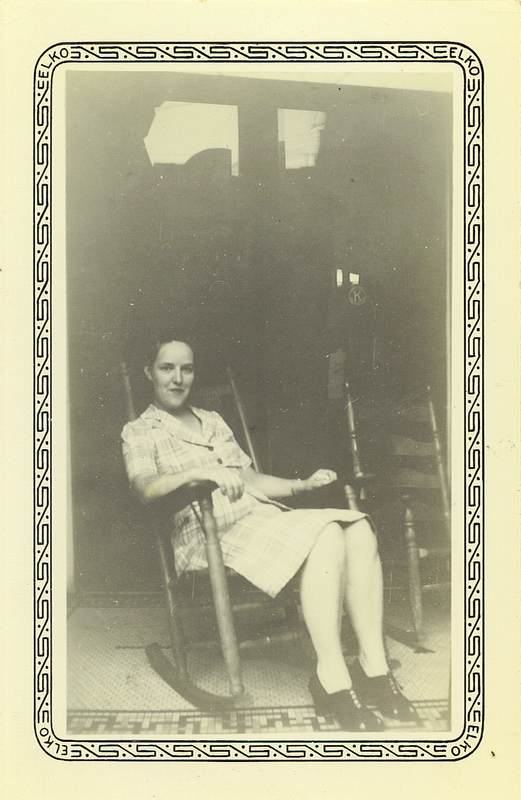 Lois Burnett Kuhn - Lois was my grandmother and she died when my father was only 18. I was never able to meet her, but my father has spoken of her so much I feel like I know her well. I think she would have made a terrific grandmother and I would give anything to be able to sit down with her for an afternoon and just talk. I don't have any specific questions for Lois, I just want to be with her. 9. 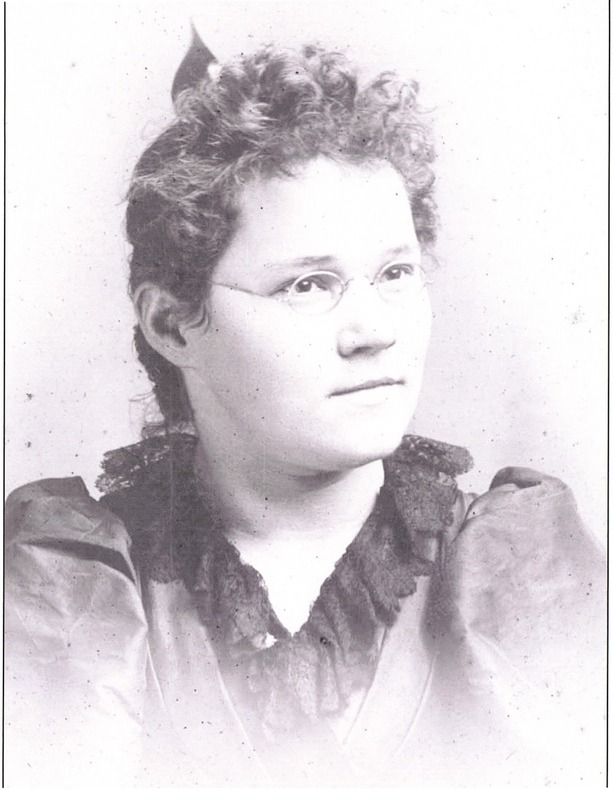 Elizabeth Knupp Coffman - Elizabeth was a 3rd great-grandmother. She was born and raised in Virginia. She married John Coffman and they had five children. Just two days after her 30th birthday Bettie committed suicide. Although I'm sure there are more, Bettie is the only ancestor I have found that has ended their own life. She had a 9-month-old baby and I'm wondering if she was experiencing post-partum depression. I would like to ask her why she felt this was the only way out. 10. James Smith Trabue - James is no relation to me, other than he married a distant cousin. However, he is one of the only people I have found in my tree that fought in World War I. Unfortunately, James was killed in the early hours of November 11, 1918, just hours before the armistice was signed. If I could meet James I would ask him about his war experiences. 11. Leroy Philip Kuhn - A distant uncle, Leroy is the only blood relative I have found that participated in WWI. He was assigned to Surgical Team No. 7, A.E.F. To date I have found no information about his actual service and whether he was sent overseas. So, the obvious question is: Tell me about your WWI service. 12. William White - William White was my Mayflower ancestor. He arrived in America but died the first winter, leaving a wife and two small children. I would ask him this: Would you do it again? Here are 12 questions I would ask any relative I was fortunate enough to meet. 1. Who were your parents? 2. Who were your grandparents? 3. Why did you immigrate/move cross country? 4. Did you ever have your photo taken and where can I find a copy? 5. What was your most prized possession? 6. What modern day invention would you most like to have had in your day? 7. What moment in my life are you most proud of? 8. What moment in your life would you like to re-live? 9. What moment in your life would you like to do over and change? 10. What historical moment will you always remember? 11. What was your favorite activity or past time? 12. What is your favorite memory and why? 1. I wish I could have known you. 2. 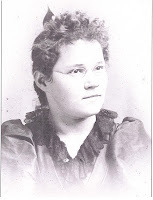 I love genealogy because it is important to me that your story is remembered. 3. I have a wonderful husband and two great (albeit crazy) sons. 4. My parents did a great job in raising me. 6. I'm not religious, but I'm still a good person (important, I think, to let all of my uber-religious ancestors know). 7. I really enjoy working and especially love public relations. 8. My favorite invention is the Internet. 9. I enjoy sewing and especially quilting. 10. Service to country is very important to me and I appreciate your military service. 11. I would love to step back in time and live life in your shoes. 12. I hope I make you proud. This is a great post! I especially love what you would tell your ancestors. As for #12, I'm sure you've made them proud. Thank you, Lisa! I just couldn't let this special day pass without some kind of post! Great post. I like the 12 questions and the 12 things to tell. This gives me some thoughts on what I'd tell my ancestors & questions to ask. Very thoughtful and thought provoking. Thanks Patrick! I've often thought about what I would say to my ancestors. It's fun to imagine a conversation with any of them! I love this post! There are many of my ancestors I would love to talk with and ask questions of but I've never thought about writing it out. And I love the things you would like to tell them but I agree that they would be proud of you for ensuring their stories are told. A very nice post for today. Thanks for sharing! Beautiful post. I agree with Lisa (#12) you've already made them (and your distant cousin Donna) very proud.